White House press secretary Sarah Sanders said doctors expect Kudlow will "make a full and speedy recovery." "Earlier today National Economic Council Director and assistant to the president Larry Kudlow, experienced what his doctors say, was a very mild heart attack," Sanders said in a statement. "Larry is currently in good condition at Walter Reed National Military Medical Center and his doctors expect he will make a full and speedy recovery. The president and his administration send their thoughts and prayers to Larry and his family." Judy Kudlow, his wife, told the Washington Post's Robert Costa that her husband is "doing fine," adding that the doctors at Walter Reed National Medical Center "are fabulous." Costa reports that Kudlow is "up and talking" and had spoken on the phone with his friend, the economist Art Laffer. A White House official also told CBS News that Kudlow suffered a mild heart attack and is doing well. Kudlow, 70, was picked to lead the National Economic Council in March, succeeding Gary Cohn, a former Goldman Sachs executive. Kudlow spent years as a commentator on CNBC, and has long been a fixture in Washington policy circles championing conservative economic policies. Prior to his media career, Kudlow was the chief economist at the Wall Street firm Bear Stearns. 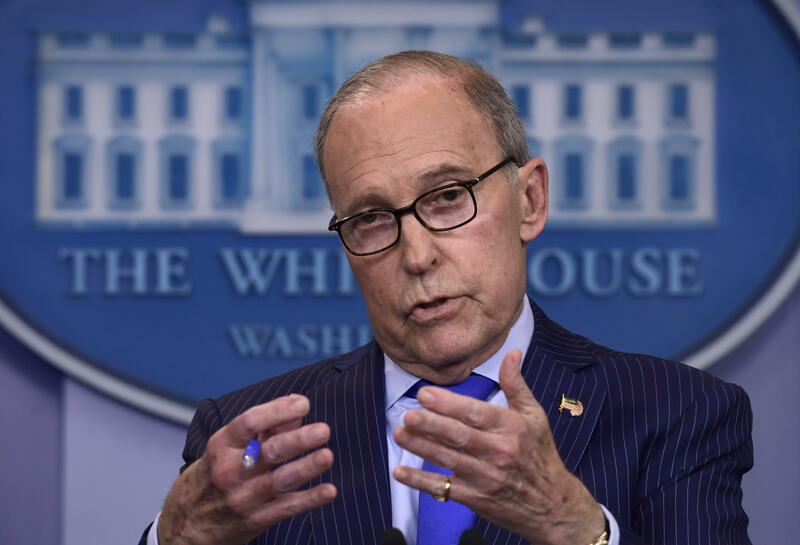 Kudlow was not in Singapore for the summit with Kim, but had been in Canada over the weekend for what turned out to be a contentious G7 meeting with the heads of other large economies. He appeared on "Face the Nation" on Sunday, defending Mr. Trump in a heated trade dispute with Canada. Kudlow has long been open about his struggles with addiction and speaks often about his faith. He told the New York Times in March that he'd been sober for 23 years.